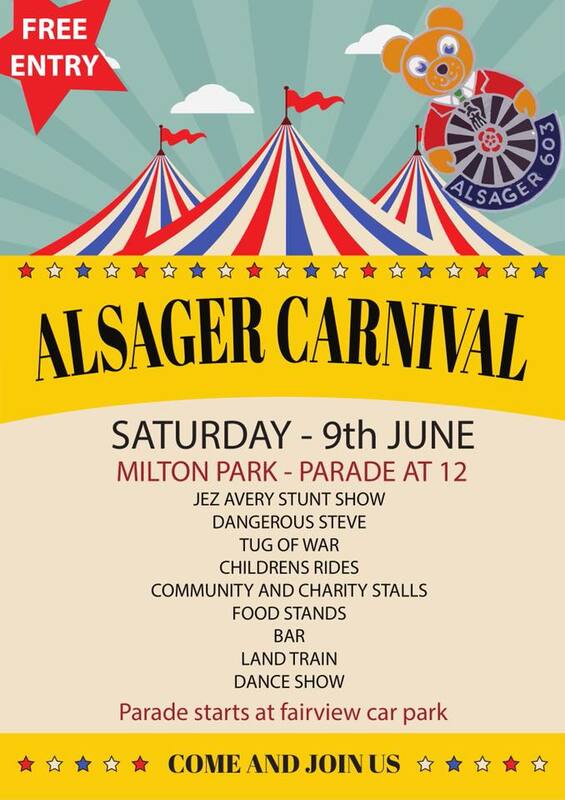 On Saturday 9th June 2018 the annual Alsager Carnival is being held at Milton Park. The 1st Alsager Scout Group will be participating in the parade. We will also be serving our famous burgers & hotdogs during the afternoon plus we will be organising different games and activities for you to have a go on. You can also come and have a chat to any of our Leaders or Executive Committee members if you wish to find out more about our group.